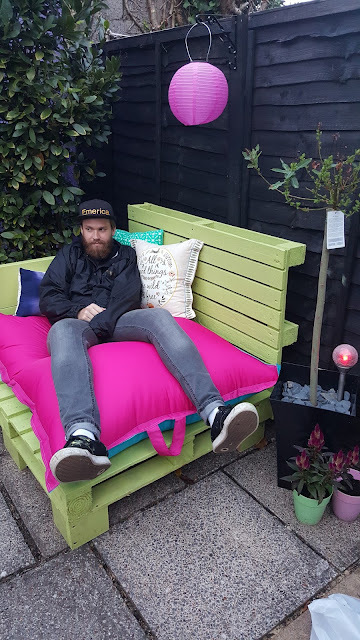 For a long time I've wanted to make a pallet sofa for our garden. I've looked at so many types and researched different ways to do it, but they've always been really big and used foam which can be really expensive! 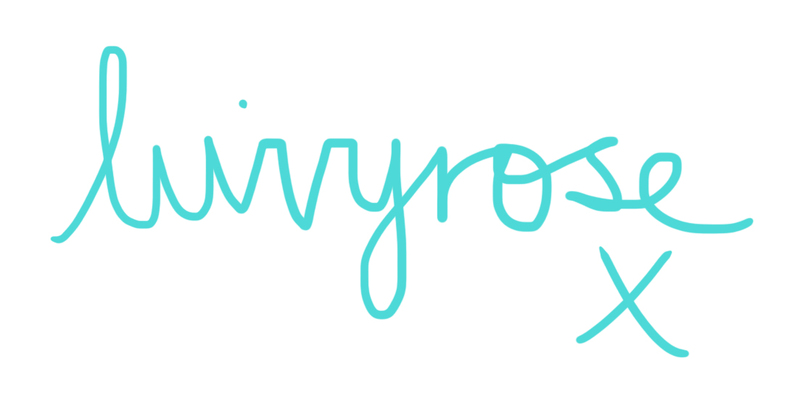 Because of that I decided to make it my own way. I managed to get two really good quality pallets from my local paint store. They were going to be thrown away so they happily let me have them. One was 120x100cm and the other 100x80cm which are both typical sized pallets. The examples I saw online used between 9-12 pallets but I didn't realise how big they actually were until I got them in the garden! I was planning to make an L shaped sofa but I just didn't have the room so decided on a smaller love seat. First step is to sand down the pallets. I was lucky enough to have a power sander so it didn't take me too long to sand down both. No worries if you don't have a power sander though! It'll just take you a little longer using sandpaper. 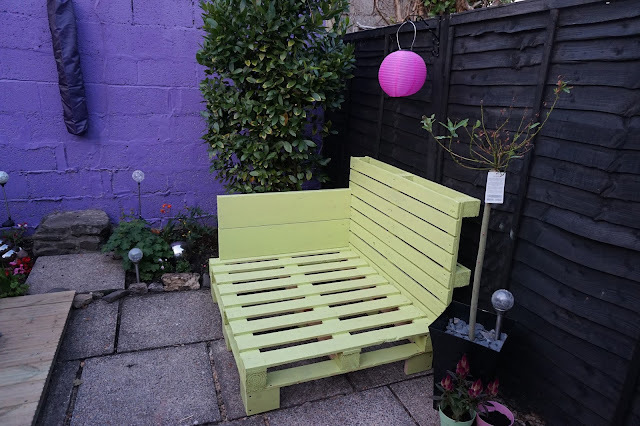 I decided to get lime green as we have a black fence and purple wall so I wanted to keep the colours bright and cheerful. I managed to get this lovely colour from Homebase for £9.99, it is only a small pot but it covered all the wood with two coats. The sofa was pretty low so I thought it would be best to add a bit of height to it. I didn't want the faff of having to get another pallet and paint it so we decided on some little legs to prop it up. It was hard to get the screwdriver inbetween the slats so I needed a skilled workman to do it, my Dad! He has been visiting us for the past week, so it was very handy that he was here to help! Once the legs were on, I painted all the wood again and left it to dry for a few hours. I decided to put an arm rest on the side of the sofa as I thought it could act as a type of back rest if I were to sit in the corner.